Shahid Abdur Rab Serniabat Textile Engineering College, Barisal. Smart textiles are defined as textiles that interact with their surroundings. Basically smart textiles are referred to as those textiles that are able to react and adapt to an environment stimulus. The origin of the stimulus and the response can be either from an electrical, thermal, chemical or magnetic source. 01. Passive Smart Textile: Passive Smart textile is the first generations of smart textiles, which can only sense the environmental conditions. 02. Active Smart Textile: Active Smart Textile is the second generation which has both actuators and sensors. 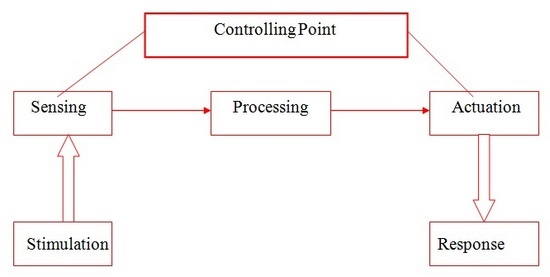 The actuators act upon the detected signal either directly or from a central control unit. Active Smart textiles are shape memory, water-resistant, chameleonic, and vapor permeable heat storage, thermo regulated, vapor absorbing, and heat evolving fabric. 03. Ultra Smart Textile: It is also known as Very smart textile. It is the third generation of smart textiles, which can sense, react and adopt themselves to environmental conditions. A very smart textile essentially consists of a unit, which works like the brain, with cognition, reasoning and activating capacities. Often we do mistake to understand clearly smart textile and intelligent textile. To overcome this problem we should know about the basic difference between smart textile and intelligent. Already we have known that smart textile interacts with environment whereas intelligent textile means textile structure which not only can sense but can also react & respond to environmental condition and stimuli. Actually intelligent textile is those which is capable of responding or activated to perform a function in a manual pre-programmed manner. In this way, smart textile work out successfully. Smart textile is already used for health care. The high-technology into textiles, gives us opportunity for Personal Health care. The development of wearable monitoring systems is already having an effect on healthcare in the form of Telemedicine. The concept of personalized healthcare empowers one for own healthcare. Wearable devices allow physiological signals. Thus daily life becomes so much pain free. Life belt plays a significant role in Medical sector. It’s a valuable decision support tool. Basically Life belt is a trans-abdominal wearable device. To avoid the frequent visit of additional patients the remote health monitoring provided by this. It is also time consuming to take individual care of every patients. So it becomes easier when hospitals use Life Belt which improves significantly patient’s living and health conditions. Smart textile is also used for defense. In extreme conditions or situations there is a need for real time information technology to increase the protection and survivability of the people working in those conditions. However, Smart textile is done it rapidly and safely. 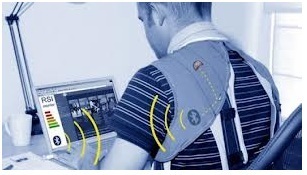 Like life belt Life jacket is also a medical device which always monitoring blood pressure or the heart rate. All the information is transferred to a computer and which is read by a medical staff. Hypertension and blood pressure can be calculated by life jacket. So it’s a huge effort by smart Textile. 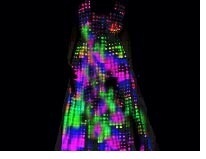 Smart Textile plays an important role for entertainment wear. These types of wear have special color, heat and light consuming power. These wears have special effect when the dancer moves. So it will make more fabulous to the audiences. Smart Textiles are becoming internationally a dynamic innovation for textile sector. For textile sector smart textiles, is promoting a good strengthen position internationally and create new job opportunities for the poor people. Smart textile is a new field to spread knowledge to develop through textile material and textile processes. Textile is a material close to the human being and it is a natural carrier of technology. So smart textile can easily contribute for the upcoming textile sector. Now at the end of this article we can easily say that, Smart textile is so much useful for human being. So we should have proper knowledge in this field.